2012 marked the 10th anniversary of Star SU, the joint-venture between Samputensili and Star Cutter that helped the companies realize a sole go-to-market organization responsible for sales and distribution of cutting tools and machine tool technology for the North American market. Taking a look back on the success the companies achieved in its first ten years together, it should come as no surprise the companies would map out an even more aggressive growth strategy for years to come. 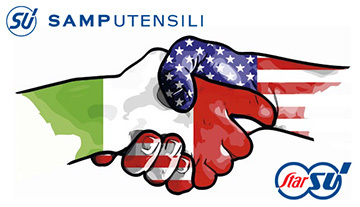 With the sales organization firmly entrenched, the partnership between Samputensili and Star Cutter entered 2013 with an extended agreement to include the production of gear tools in Tawas and in Hoffmann Estates, IL (USA), the service center in Querétaro (Mexico) and the Samputensili manufacturing plant in Jundiai (Sao Paolo, Brazil). Nowhere is the new partnership expansion more apparent than in Brazil. Conveniently located between Sao Paulo and Campinas, some of the most important hubs for South America, the site is already reaping the benefits of joining the two powerful brands. “The strong presence of the Star and SU brands in the South American market helps to strengthen many of our product lines. We now have a complete tool and machine offering through the joint venture. The gear tool division is helping the round tool division and vice versa, and enhancing our tool profile benefits our machine tool sales,” says Antonio Cordone, Managing Director, Samputensili do Brasil. With the right tools available and an improved structure in place, Star SU is certainly ready for the next decade and beyond. Star SU and Samputensili together are market leaders in the cutting tool technology with a global worldwide turnover of about 130 million USD, whereas if we also consider the machine tool business the global turnover exceeds 200 million USD.